The recent loan modification programs for most big banks were set into motion as a part of the Obama Stimulus Plan. 75 Billion dollars was set aside to help homeowners who found themselves in over their head on their loan payments. The reality of the situation is that less than 4% of those who apply for a loan modification are actually given a modification. Furthermore, for those with a Bank of America mortgage, those odds are even worse with less than 1% actually receiving a modification. Both of these statistics provided by cnnmoney.com. In the previous three months I have met with five families in San Carlos who have applied for a mortgage modification. All five have either been denied or wrapped up in so much red tape that they have simply given up hope after many months of jumping through hoops. A few of these families encouraged me to write a blog article on the matter to let other San Carlos homeowners know more about the realities of the world of loan modifications. The first obstacle to dodge when seeking a loan modification is the hundreds, if not thousands, of scams. Unfortunately, there are many looking to capitalize on the fear and misfortune of others. Be aware of any loan modification firm asking for a substantial amount of money up front. Reputable loan modification firms will be paid after the modification takes place. Next, many of the bigger banks will blame the consumer for the lack of organization when submitting their paperwork, and thus the reason for the low conversion rates on loan modifications. While I am sure that there are a high number of individuals who have applied for a loan modification and not been organized, I can tell you that there is an equally high number of folks who are very organized and done everything asked of them without so much as a return phone call from the bank. Here’s an example: I recently had a client trying to procure a short sale with Bank of America. The documents to be submitted for a short sale are very similar to that of a loan modification and the process is very similar as well. We had all documents perfectly organized and were told to fax them to a particular Bank of America number, which we did…..about 187 times without success. For one and a half months we tried to fax the documents hourly, every day, at all times of day, only to receive a busy signal. The bank would not give us another number to fax to and we had to continue to fax to that particular number. We tried all hours of the day, even a 2:00 am and 5:00 faxing, which still received busy signals. Finally, on about the 45th day, it went through. We called three days later to confirm receipt and they claimed we did not fax all of the documents necessary (even though we had) and that we needed to resubmit the entire fax again, as one. We were successful the following week, only to be told three weeks later that Bank of America was switching the doc gathering process to a new online system which would require us to forget everything we had done the previous three months and start the process all over again on their new system. You can see where the frustration begins to overtake the situation and borrowers simply throw their hands up. The process is set up to fail, both on the loan modification side and usually on the short sale side as well. Regardless of what they may say publicly, I find it impossible to believe that banks are making the best and most efficient use of the stimulus money intended to help buyers in a loan modification situation. The process is set up to fail. I have nothing to base this on other than common sense, but at a certain point you have to wonder why the process is so badly flawed. Is there an incentive for these banks to foreclose on the property rather than work with the borrower on either modifying the loan or allowing a short sale? That depends on who you believe. This much is true, if a bank cuts the value of a property either through a loan modification or short sale, the bank needs to record the new, lower value on their balance sheet. However, the longer they stall the loan modification or short sale, the longer they get to keep the higher home value on their books. Complicating matters is the fact that most mortgages are securitized and then sliced and diced among many different investors, many of whom are from far away places such as China and Europe. All of these investors will want some say in the matter as well, which further complicates the process. If you are organized and have done everything possible to obtain a loan modification and not had success, be prepared to move on. Too many times homeowners wait until the home modification process has taken them into the start of the foreclosure process. If the home modification option does not pan out, homeowners should at least explore the option of a short sale. However, you need to make sure that you have enough time to make a proper run at a short sale, which takes time. 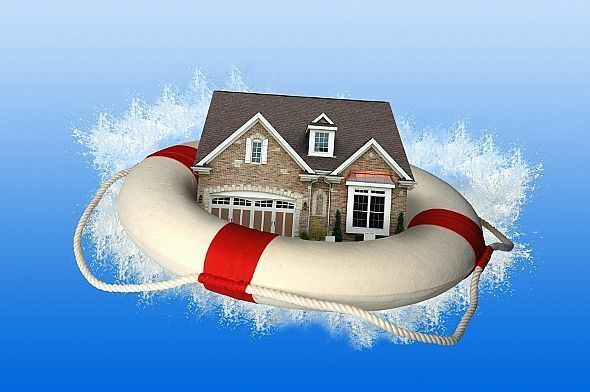 Homeowners need to do everything possible to avoid foreclosure. The truth is that foreclosure will devastate your credit for the next 7 to 10 years. Additionally, many do not understand the rules in California regarding a deficiency judgment. Thankfully, California has what are called “anti-deficiency judgment statutes,” which protect home borrowers from the bank claiming a deficiency judgment against them if the proceeds from the foreclosure are not adequate to cover the balance due. In other words, if a homeowner owes $800,000 on their mortgage and the house goes into foreclosure and only nets $700,000 on the sale, the bank is prohibited from chasing down the owner for the remaining $100,000. However, there are exceptions to the anti-deficiency judgment statutes. The statutes only apply to what are called, “purchase money loans.” In other words, it only applies to loans on the property that were used to purchase the home. If a homeowner purchases a home and takes cash out through a refinance or adds a credit line against the property, those amounts are most likely not subject to the protection of the anti-deficiency judgment statutes. Theoretically, a homeowner with a non-purchase money loan on the property could be foreclosed upon and end up owing the balance due on the loan, plus fees, on the uncovered balance of the loan(s). This fact should add more fuel to the fire for homeowners to examine a short sale after attempting a loan modification. Hi Bob, good article although I think your title is misleading. I was expecting the article to discuss why San Carlos homeowners would have more trouble getting modifications than folks living in other cities. The issues you raise while accurate aren’t confined to San Carlos. Yes, I think that is a fair point. These issues are not necessarily confined to San Carlos. I changed the title of the article. Informative article, Bob. Thanks for the information. The company I work for used to be affiliated with one of the large banks and we often received emails about the number of loans they were modifying along with how many loans that other large banks were modifying. I seem to remember that Bank of America had the lowest numbers. Hearing the process that one has to entail to attempt the modification or short sale process is disturbing and discouraging. I’m curious did your client ever get to do the short sale or were they forced into foreclosure because of BofA’s red tape? Am I naive to think that our congressmen would care to hear about the program set-up to fail? They seem to be bringing in the big banks a lot to press them about bonuses… why not hammer them on something that helps the American people keep their homes? Thanks for your post. Unfortunately, we are still working on that one particular deal you mentioned with B of A. I wish that I could tell you that we were closer to making progress on it, but the truth is that I am not sure we are much further along than when we started. We are now at the six month mark. Also, I don’t mean to single out B of A. For the most part, other banks are equally as slow. My guess is that Congress already knows the programs are a mess. Initially, I think a lot of us were hoping that the delays were simply due to the banks trying to get their acts together and get the programs set up correctly. However, now it is quite evident that the delays and red tape are due to something else entirely. Foreclosures and short sales remain on the credit reports *up to* 7 years. Bankruptcy is a 10 year reporting item. By the way, short sales can devastate credit as well with delinquencies piling up and erroneous reporting after short sale. Loan modifications are going away, but some are possible. It is important to know the numbers that the bank is looking at. People have many misconceptions about loan mods and short sales, but at the end of the day is a math problem. You are correct in that short sales do affect your credit as well. But I do want to make clear to the readers that a foreclosure on your credit report is far more damaging. A short sale does not show as such on a credit report. Most banks will report it as a settlement for less than amount stated by the creditor. Your readers should probably also understand that California foreclosure law protections do not extend to short sales, but it is however the threat of foreclosure that is used on the banks to get deficiencies waived in a similar fashion as foreclosure would grant. With respect to short sales reported on credit, I don’t take anything for granted – even verbiage on short sale approval letters – and any sort of inaccurate or erroneous reporting I use to help my clients remove it from their credit permanently.